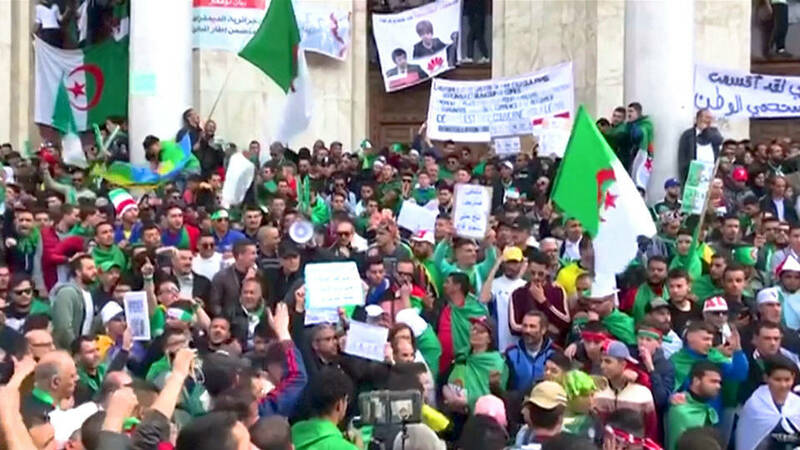 Algeria: Protesters Call for Removal of Ruling Elite After Fall of Bouteflika | Democracy Now! In Algeria, police arrested over 100 protesters as thousands took to the streets Friday, less than two weeks after the resignation of four-term President Abdelaziz Bouteflika. Demonstrators are calling for the removal of interim President Abdelkader Bensalah and the entire ruling elite that has been in power since the country gained independence in 1962. This is a protester speaking from the capital Algiers. Protesters say they will continue to demonstrate until a democratic, civilian transition takes place. Interim President Bensalah has said elections will take place in July.